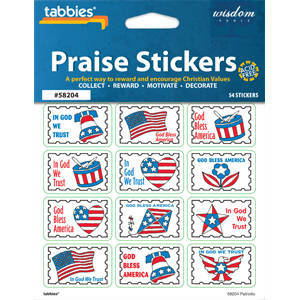 A perfect way to reward and encourage Christian values. 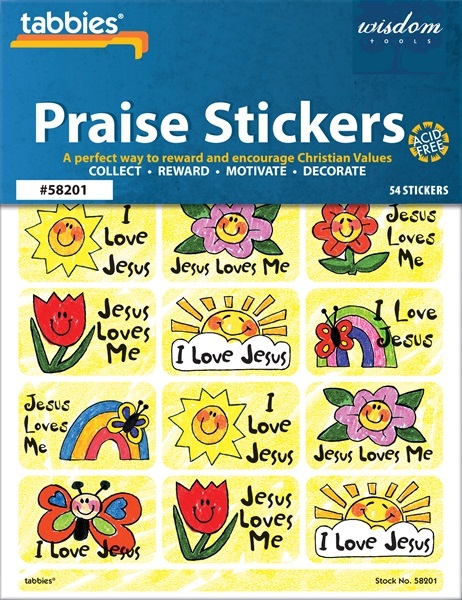 Let children know how special they are by awarding Praise Stickers that are colorful with child-friendly designs and characters. 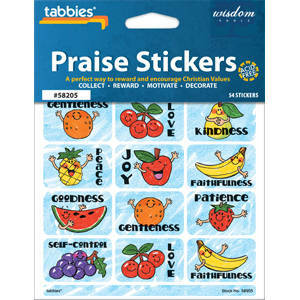 Praise Stickers can be used to reward acts of accomplishment or exhibiting kindness towards others. 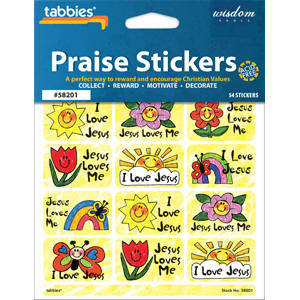 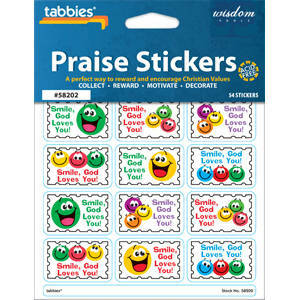 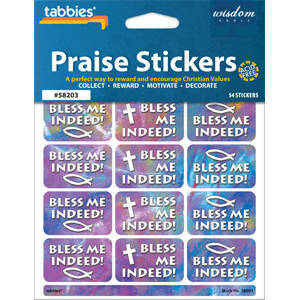 Praise Stickers are designed to be used with tabbies® Praise Chart. 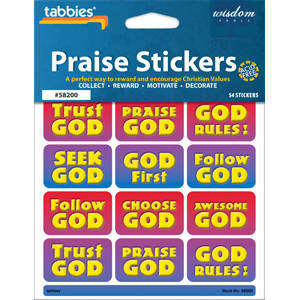 Stickers are permanent, self-adhesive and acid-free. 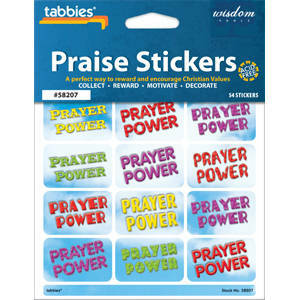 Choose from 8 different styles. 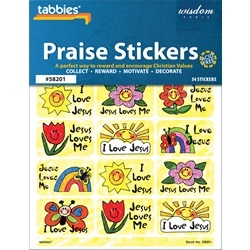 Each package contains 54 assorted sticker designs of one style - 3 sheets of 18 stickers per set.